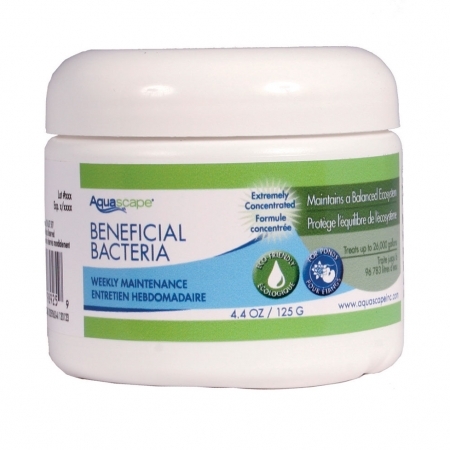 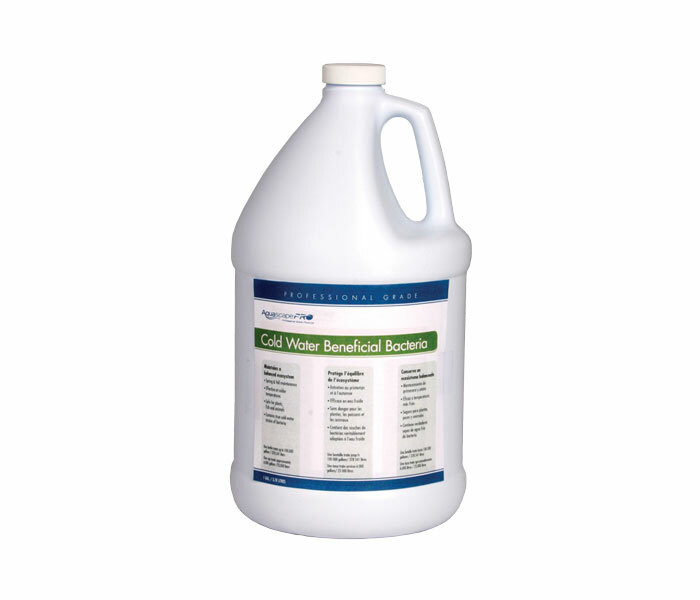 Aquascape Liquid Beneficial Bacteria for Ponds helps to provide clean, clear, and healthy water conditions, significantly reducing pond maintenance required. 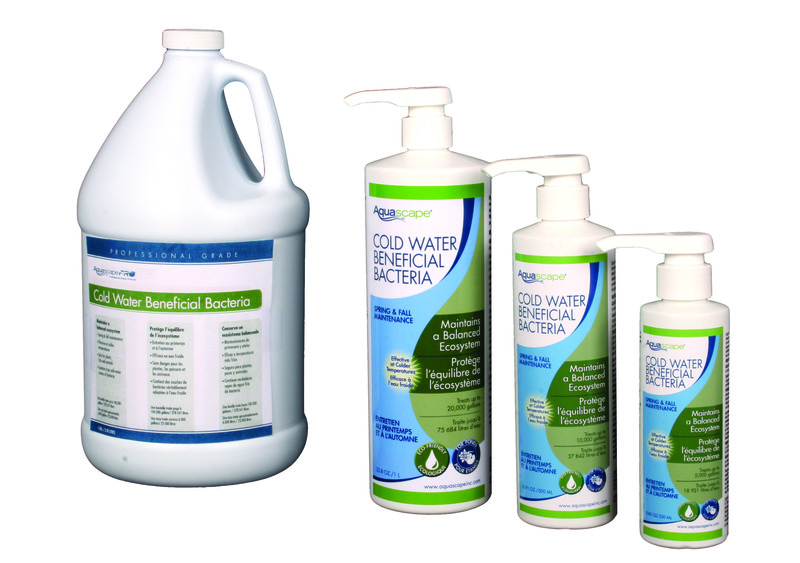 Each bottle is packed full of eight pure strains of concentrated bacteria and is completely safe for fish, plants, pets, and wildlife. 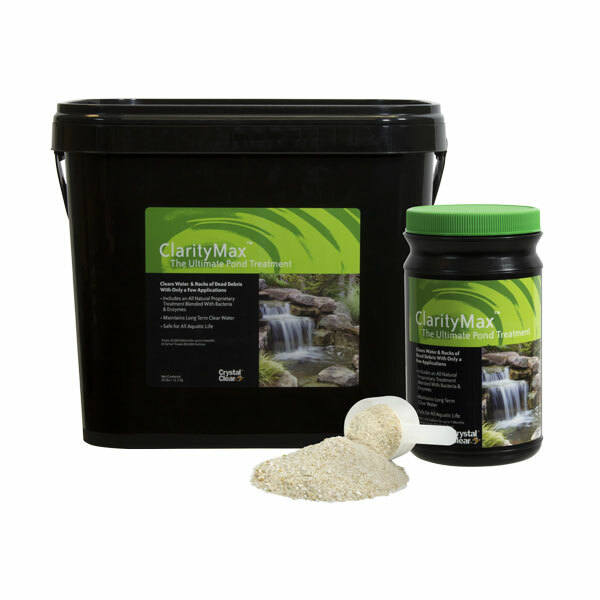 This will effectively reduce fish waste, organic plant material, sludge, and excess nutrients in your pond, allowing you to spend more time enjoying your water feature and less time maintaining it. 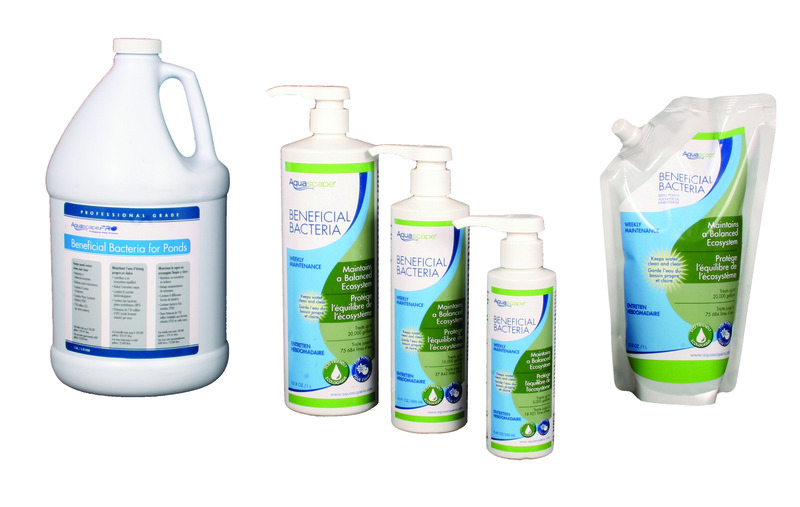 The easy-to-use pump top accurately measures 100 gallons of treatment per pump. 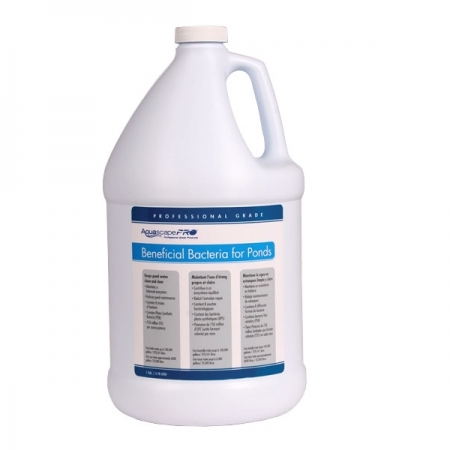 Our bacteria also contains a 1.5 billion CFU per ounce potency, ensuring consistently effective treatment and the included marigold and vitamin B helps to bring out the natural colors of your fish while maintaining proper fish health. 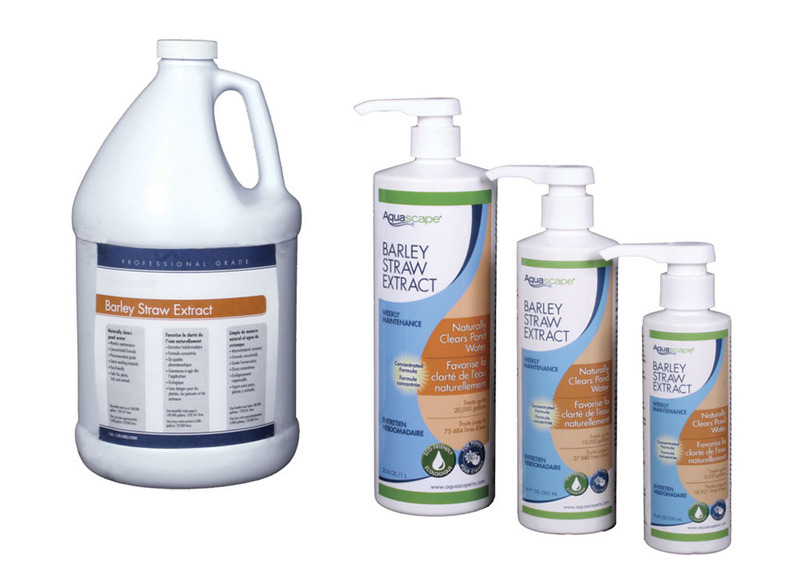 THIS IS THE MOST IMPORTANT TREATMENT YOU CAN USE IN YOUR POND!